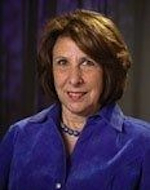 Joanne Ferraro discusses what the future holds as floods ravage the medieval city. 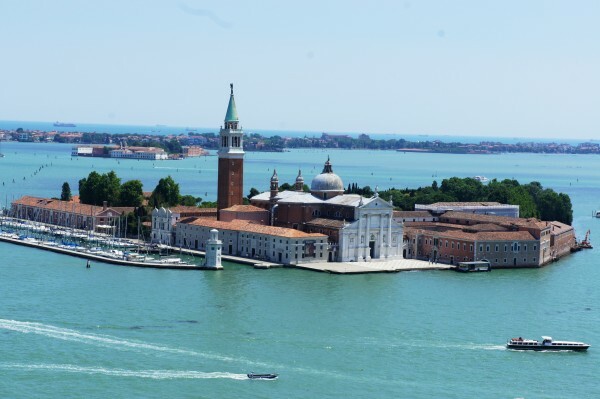 Ever since the great floods of 1966, when waters rose more than six feet above the mean tide, Venice has been an international cause célèbre with an imbalanced ecology that threatens to bring about its ruin. Some thirty organizations from around the world, including UNESCO, Save Venice, and Venice in Peril, have joined the Italian government, which passed a Special Law in 1973 to stave off depopulation and inundation, in raising funds to restore precious artwork, crumbling architecture, and cracking foundations. The city’s flooding and sinking have attracted the greatest concern. Among the causes of deterioration are the filling of canals and redirection of tides; draining artesian water in the industrial town of Marghera from the bedrock underneath the lagoon to serve the oil refinery and chemical industries; the deepening of canals leading into the harbors; the admission of giant oil tankers, and the rise of world sea levels. Further, industrial zones and banked-in fishing beds have reduced the size of the lagoon basin by half. Water and air pollution are also causes of distress. Chemical detergents destroy fish; heating systems produce smog and industrial smoke. Moreover, the weight of brick and marble on mudflats and the hoards of tourists are also sinking the city. However, thanks to the work of the academic community, technicians, and philanthropic funding organizations much good restoration work has taken place. The project that holds the most promise in staving off decline is Mose, a 6.5 billion dollar flood-prevention system which is scheduled to begin functioning in 2013. 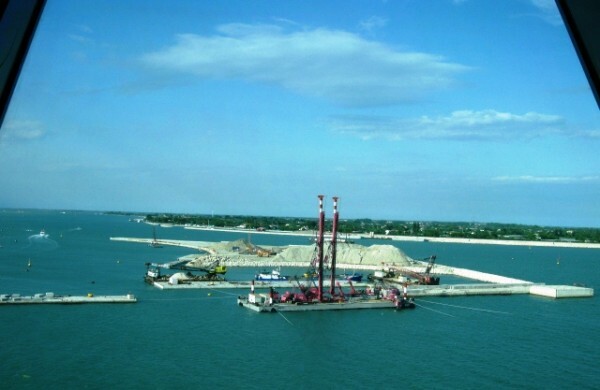 This enterprise, developed over the last decade by the Massachusetts Institute of Technology faculty in conjunction with Italian engineers, consists of four barriers situated at the lagoon’s inlets. They are engineered to rise in sync with the tides in order to prevent the lagoon from flooding and to keep the city’s water level below 3.28 feet. While the project holds great promise, it has also generated much controversy: Opponents raise concerns about the barriers’ environmental consequences as well as the costs of operation, which are estimated to exceed 20 million euros annually. 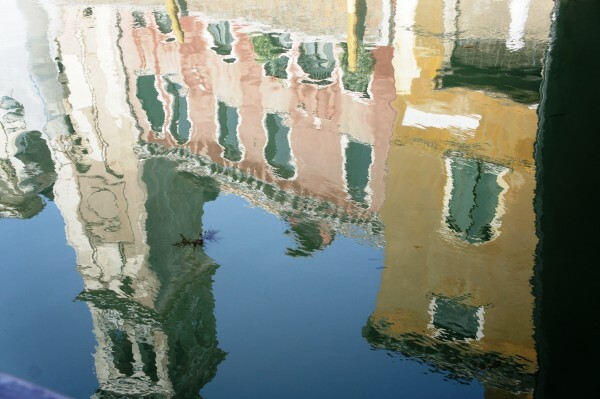 Scientists continue to observe and measure the ways in which Venice is sinking. A team that includes the Scripps Institution of Oceanography at the University of California San Diego, the University of Miami, and the Tele-Rilevamento Europa concluded in March 2012 that the lagoon and city have dropped approximately .08 inches annually over the last ten years. Scientists predict that in 20 years the sea will take over 3.2 inches of the lagoon. A second observation is that Venice is tilting eastwards. As an historian I cannot resist the double entendre this conclusion invites: From its beginnings in 568 CE Venice consistently “tilted” eastwards, first to the Byzantine and then to the Islamic world, in forming a multi-ethic, composite culture. The eastern margins of Piazza San Marco, with the golden Basilica and the Ducal Palace, recall the architectural forms of Constantinople and Alexandria, respectively. Historically, Venice, unlike other Italian cities, is rooted in the cultures to its east, where its merchants both traded and colonized. Please forgive the cultural digression; it is obviously not what scientists had in mind in describing Venice’s dire circumstances. Back to the flooding. Tourists may be fascinated by it, either kayaking or purchasing thigh-high wading boots to affront the floods. But residents who need to leave their homes to work and shop, or play, are frequently held hostage to the high waters that rise more than three feet above the foundations of their buildings. When this occurs sirens wail, warning the city. Passarelle, planks of wood on platforms, are temporarily placed in the areas where they might facilitate walking, but essentially merchants and residents experience an uncomfortable paralysis. On acqua alta days I simply stay home, unwilling to face the hassle. Mose may promise to control flooding, but it will not resolve the other inundation assailing the city: tourism. Each day during tourist season cruise ships and buses drop off thousands of day visitors, half of whom congregate in Piazza San Marco. No wonder the city is sinking. Medieval Venice, with its mud flats and clay foundations, was not designed to bear the weight of so many people. But alas the city’s allure is eternal, making it difficult to limit the number of curious visitors mesmerized by the shapes of its bell towers, palaces, and crenellations glinting and glazing in the sun and painting the waters with undulating cityscapes. Nonetheless, the tides must change.